Man I’m busy. Got 2 presentations to prepare for the Tableau Conference in Seattle, another couple later in the year and a ton of eager Tableau users to satisfy at work. Oh and I’m trying to move house as well. All a bit chaotic at the moment. Probably explains my lack of Tableau public vizzes recently..
At least I’ve had the pleasure of a chat with the one and only Anya A’Hearn of Datablick. Most of you probably know her stuff, cos she’s flippin ace. That’s all there is to it. AA: Anya A’Hearn, Data Viz Consultant @DataBlick. AA: DataBlick is a boutique Tableau consulting firm in San Francisco with clients including a leading global payments technology company, as well as clients focusing on marketing attribution, education, and mobile communication. AA: How do I not use Tableau?… I think I am a certified junkie at this point :-). I have been in the BI space for over 20 years and have enjoyed watching the space and tools evolve. I have a background in Economics and Product Design, so when I first saw Tableau, it just magically clicked. Tableau allows me rapidly prototype, build, and deploy data products that people delight in using and interacting with. Watching a user be able to see data that is useful to them, and light up instantly with an “ah ha!” is amazingly rewarding. While it is not always the right tool, when it is – the impact is phenomenal. AA: At this point, doing Tableau work pretty much is my business. There is currently a such a huge demand for developing Tableau dashboards and reports, that has become the main tool I use. AA: I don’t know many other BI tools that have such an amazing community, especially the folks who respond to forum questions and post amazing how to’s like Joe Mako, Jonathan Drummey and Noah Salvaterra. I also am inspired by the very talented folks who post to Tableau Public and constantly come up with new ways to use Tableau like Allan Walker and his mapping work. I am lucky to live in the Bay Area and our user group meetings are like a Who’s Who of Tableau. I have reached out to so many folks with questions, and the response was always helpful, mindful, and supportive. If you love the work of someone in that you see, reach out to them with well formulated questions and examples, and you are sure to get a response that will lead you on the right path. I have been inspired by so many and continue to be inspired by all the ways that users bend Tableau to do what they need to do. Not all of it may be data viz best practices, but the sheer will to push the boundaries of what is possible is the most inspiring. AA: I would love to see BI tools focus on more access to unstructured data, data via API’s, and live data feeds. I talk to data scientists and data viz designers that are just starting out and they are like “Ewwww, SQL? I have to actually learn that?” I might as well be talking about learning to Waltz as far as they are concerned. 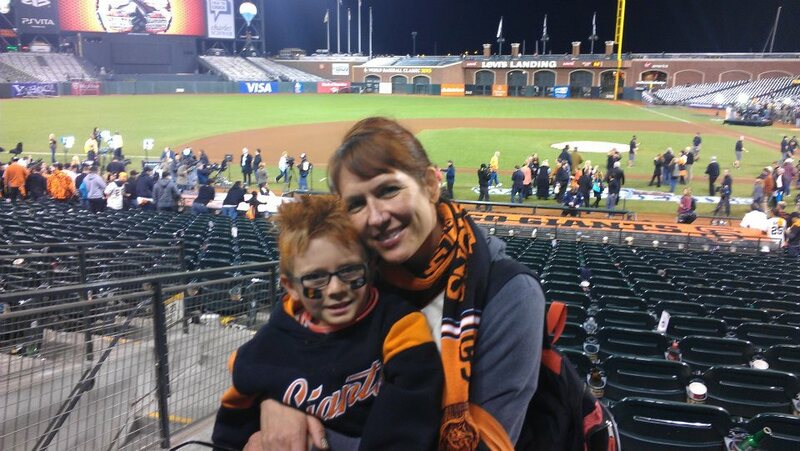 AA: Well when I am not working, I am playing with Tableau (my Public Viz’s), enjoying my kids, baking really delicious cookies, cheering for my SF Giants, or volunteering by contributing data viz work to non-profit organizations. You have a new Data Viz Super Power! Go use it for good! Awesome stuff, thanks to Anya for sparing the time to chat. I’m looking forward to our joint session at Data14. Should be fun. This entry was posted in 2 Minutes with and tagged 2 minutes with, analytics, anya a'hearn, bi, data, datablick, discussion, fashionista, interview, national bank, opinion, science, tableau, visualisation by paulbanoub. Bookmark the permalink.